As our world and environment constantly change, so does the technology filling new Audi luxury vehicles. When you buy or lease a new Audi from our Audi dealership near Woburn, MA, you'll have the power and resources of Audi connect® at your fingertips. What is Audi connect®? 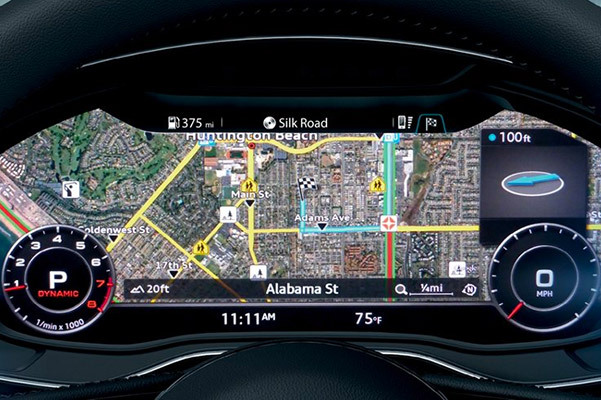 Your new Audi can connect you with the world around you, whether that be by way of Audi infotainment features or intuitive Audi mobile apps. More than anything, Audi connect® is here to make your daily drives easier. Visit Audi Burlington and view all the sleek new Audi models that offer Audi connect® services, then discuss your Audi financing options with one of our experts. Depending on which new Audi you decide to drive home from our Burlington Audi dealer, whether it be the spacious Audi Q5 SUV or the sleek Audi A5 Sportback, breakthrough Audi connect® amenities may be waiting for you. Looking for parking? You can search for available garages directly from the MMI® display. If you're on a long trip across New England and you start to feel hungry, don't worry about picking up your smartphone to look for places in the area. With natural voice recognition in select Audi luxury sedan and SUV models, you can just ask your vehicle where the nearest restaurant is. Couple that with the available Google Earth™ integration and you'll see why our clients trust in the Audi brand to change the way they drive. What Is the myAudi App? The myAudi mobile application complements the intuitive technologies that Audi connect® offers. What can you do with the myAudi app? On select new Audi vehicles you'll be able to unlock the doors right from your smartphone. Having trouble finding where you parked your Audi? The myAudi app can help you locate it. Download the myAudi application on your Apple® or Android™ smartphone to start enjoying everything this useful feature has to offer. If you have any questions about Audi connect® or myAudi app accessibility, contact Audi Burlington. Our experienced salespeople are trained and well-versed in all things Audi technology. 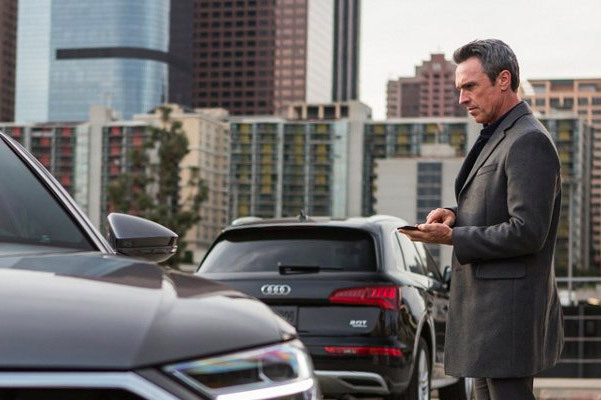 And if you're wondering how you can get into a new Audi that offers everything that Audi connect® has in store, make us your first and last stop. Our competitive Audi lease and finance specials are specifically designed so you can take to the roads in a technologically advanced new Audi even faster.